Bacteria can be beneficial. While this is a concept that is hard to understand, it works like this. While wrong bacteria can be deadly and we kill harmful infections by using antibacterial gel, lotions or soaps, the right bacteria offers the best benefits. This is where probiotics are important. These are live microorganisms that prevent and cure illnesses. Having a healthy immune system and digestive tract are the most important benefits in place. These are known as good, friendly or healthy bacteria. Probiotics can be supplied through dietary supplements, beverages, and foods. The root of the term probiotic comes from the Greek word for promotion or pro and biotic meaning life. In other words, these are life-promoting bacteria. Probiotics were discovered in the early 20th century, when Elie Metchnikoff, also called the father of probiotics had observed that Bulgarian rural folk lived longer despite a tough climate and massive poverty. The secret behind their longevity was probiotics. Senility could be delayed and health advanced through manipulation of the intestinal microbiome with gut-friendly bacteria in sour milk. Since this discovery by Metchnikoff, research has not only found support for these findings but also discovered more benefits. In the year 2013, it was the International Scientific Association for Pro and Prebiotics that defined probiotics as live microorganisms that offer health benefits to the host, when taken in an adequate amount. The science of studying probiotics involves a plethora of scientific and clinical experts including pediatrics, Gastroenterology, family medicine, microbiology of probiotic bacteria, gut microbiota, immunologists, food science and microbial genetics. There was also a difference between products rich in probiotics, and those containing active or live cultures. To meet the live and active cultures criteria, the following conditions need to be met. Firstly, the food should have fermented microbes. Then, there should be proof of viability at minimum levels indicative of the kind of microorganisms seen in fermented dishes, equaling 1 x 109 CFU per serving. Additionally, no further scientific research or evidence is needed for making this claim. For probiotics that do not make health claims, only 2 criteria must be met. Firstly, the probiotics should be seen as a safe microbe, with a property, structure or end product that exerts a beneficial effect in humans and is demonstrated to provide the same in supporting human studies. Probiotics criteria for products that make the health claim include defined probiotic strains, and proof of viable strain delivery in efficacious doses at the close of the shelf life. Additionally, the evidence is needed for specific strains in specified health indications. Essentially, the human body as gut-friendly or good bacteria along with bad ones. The key to good health is maintaining the right balance between the two. Age, diet, and genetics can influence the composition of bacteria in the body or the microbiota. Dysbiosis is an imbalance and this has linkage to diseases of the intestinal tract like ulcerative colitis, irritable bowel syndrome, Crohn’s disease, and celiac disease, along with systematic medical conditions like obesity and type 1 as well as 2 diabetes. Additionally, prebiotics comes prior and help the probiotics. The two combine to have a synergistic effect, called synbiotics. A prebiotic is also known as a non-digestible carb that acts as a nutrient for probiotics and other bacteria in the stomach. The definition of bacteria effect involves the selective stimulation of growth or activities of one or restricted quantity of microbial genus type species in the gut microbiota and confer healthy outcomes for the host. Health benefits include battling GI complications like IBS, enteritis, and constipation, prevention, and cure of various cancers decreased the amount of allergic inflammation, and treatment of fatty liver disease (non-alcoholic) as well as fighting immune system deficiencies. Dietary intake of a certain food product with prebiotic effect has been shown in teens as well as postmenopausal women. This helps to increase the absorption of calcium, besides bone calcium accretion and bone mineral density. Benefits for obesity and type 2 diabetes have been on the rise as data from experimental models and human studies have demonstrated how food products with prebiotics impact energy homeostasis. It also impacts body weight gain and satiety regulation. Most prebiotics has been identified as oligosaccharides. These can resist human digestive enzymes that work on other carbs. This means they traverse the upper GI system sans digestion. These prebiotics then get fermented in the lower colon, producing short-chain fatty acids nourishing the microbiota that reside there These oligosaccharides can be synthesized or obtained from natural sources like bamboo shoots, asparagus, artichoke, banana, chicory, barley, leeks, lentils, garlic, honey, mustard, milk, onion, rye, soybean, sugar beet, tomato, wheat, Bacon and sugarcane juice. The health benefits of these oligosaccharides is a topic for continuous research. Microbiomes are tiny organisms such as bacteria and also viruses, parasites or fungi that can fit into the eye of a needle. These are so strong that imbalance can result in diseases to the body. These microbes can be found in almost every part of the body. They reside in the skin, the nose, and the stomach gut. There are many microorganisms in the body. They outnumber cells by 10 to 1, but on account of their small size, they constitute only 1-3 percent of the total mass of the body. Probiotics may seem a revolution in the food and supplement industry, but they have existed in our bodies from the time we were born. While being delivered through the birth canal, the newborn picks up bacteria like Bacteroides, Lactobacillus, Bifidobacterium and Escherichia coli from the mother. The good bacteria are not transmitted when C-sections are performed which is why infants born through C sections have lots of allergies, less optimal immune systems and lower levels of microflora in the gut. How do probiotics function? They protect us in 2 important ways. The first is the role they play in the digestive tract. The digestive tract needs to strike a healthy balance between good as well as bad bacteria, so what stands in the way of this? Mostly, it is the difference in lifestyles that lead to different outcomes for different people. Lack of correct food choices, emotional stress, lack of rest, overuse of antibiotics, and the use of medications or environmental influences can alter the balance in the favor of bad bacteria. When the digestive tract is healthy, it filters out and eliminates things that can cause damage such as deadly bacteria, chemicals, toxins, and other waste products. Healthy bacteria balance assists with regulating the GI motility and maintenance of gut barrier function. 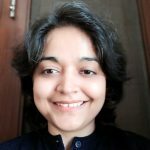 Research has also demonstrated that probiotics can be a useful cure for infectious or antibiotic-induced diarrhea, gut transit, abdominal pain and bloating, IBS and ulcerative colitis as well as non-alcoholic fatty liver disease, Helicobacter pylori infection and necrotizing enterocolitis. These probiotics also impact the immune system. Our immunity is what protects us against diseases. When we don’t have well functioning immune systems, we can face allergic reactions, autoimmune diseases like rheumatoid arthritis and Crohn’s disease as well as contagious infections like skin infections, diarrhea, vaginal infections, and H.Pylori. Through effective maintenance from birth, the aim is to prevent these ailments. The immune system can boost health outcomes when the balance is restored. 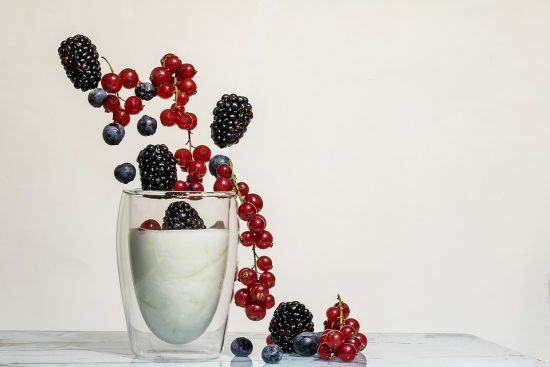 Research into the benefits of probiotics have been branching out and new areas are emerging. Preliminary research has linked for support to the health of the reproductive tract, lung, skin, gut-brain axis, oral cavity and prevention as well as cure of diabetes and type 1 as well as type 2 diabetes. There are over 50 species of lactobacilli. They are found naturally in the digestive, urinary as well as genital systems. Fermented foods like yogurt and dietary supplements also have these bacteria. Lactobacillus has been used for treating a number of diseases and conditions. Lactobacili found in supplements and foods include lactobacillus acidophilus, Lactobacillus bulagricus, L. acidophilus DDS 1, lactobacillus rhamnosus GG, lactobacillus gasseri, lactobacillus casei, lactobacillus johnsonii, lactobacillus plantarium, lactobillus salivarius and lactobacillus reuteri. Numerous studies have shown these good bacteria prevent or cure yeast infections, bacterial vaginosis, UTI, IBS, antibiotic-related diarrhea, traveler’s diarrhea, lactose intolerance and even skin conditions like eczema and canker sores, besides preventing respiratory infections. Lactobacilli are the most common probiotic. This bacteria can be found in fermented foods like yogurt and different strains can help with conditions like diarrhea as well as lactose intolerance. There are over 30 species of bifidobacteria. They make up most of the colon’s healthy bacteria. They are present in the intestinal tract within a couple of days of birth, especially in infants whose mothers breastfeed and it is considered the most effective marker of intestinal health. Some of the bifidobacteria used as probiotics include Bifidobacterium bifidum, Bifidobacterium longum, Bifidobacterium lactis, Bifidobacterium infantis, Bifidobacterium breve, Bifidobacterium pseudologue, and Bifidobacterium thermophilum. Studies have discovered that bifidobacteria can improve glucose tolerance and blood lipids. These bacteria have also been demonstrated to alleviate IBS and improve IBS symptoms like pain, discomfort, bloating, urgency, distention, and digestive issues as well as GI conditions. These bacteria are also found in fermented foods. This is a probiotic called S. boulardii and is the only yeast linked one. Studies have shown it is effective in warding off conditions and presenting as well as curing diarrhea includes by antibiotics and traveler’s diarrhea. It also prevents the re-occurrence of C.difficile for treating acne and side effects of H.pylori treatment. This probiotic is involved in the production of enzyme lactase making it super efficient for preventing lactose intolerance. This probiotic is generally found in the human and animal intestinal tract. This has been extensively used throughout human history in food processing and ingestion of foods rich in live bacteria, dead bacteria and microorganisms take place for some time. The requirement for a microbe to be considered a probiotic is that the microbe must be alive when administered. It should also impact health in positive ways and offer health benefits. A billion colon forming units every day need to be taken for optimal results. Probiotics are essentially live microorganisms that do not offer promised health outcomes if they don’t remain alive. The consumer and manufacturer will pay important attention to storage conditions at which the particular microbe will survive and reach the end of the shelf life. The potency indicates the number of viable bacteria in a single dose. Purity had to do with the presence of ineffective or contaminating bacteria. Microorganisms are not equally created. The genus, sprain, and strain need to be the same for results found in the study to be results one hopes to achieve when achieving it. For instance, the strain Lactobacillus rhamnosus GG, the strain is GG, species is rhamnosus and the genus is lactobacillus. If these differ in the supplements, this can impact the effect. With the growing value of probiotics, there are a massive variety of supplements from which one should select. The most critical thing is to assess the type of probiotic microbes one needs for the condition. With the growing popularity, there is a massive number of supplements from which one can select. The most critical thing is to assess the type of probiotic microbes one needs for one’s condition. One does not just take the supplement that provides the most organisms. One needs to carry out research and ensure there are scientific studies to support what one takes. Fresh research is coming through. A doctor can decide if trying probiotics may be helpful for one and advise regarding the type and amount of probiotics appropriate for the case. Probiotics are live bacteria and yeasts are wonderful for one, especially the digestive system. One usually thinks of these as germs that can lead to diseases. But the body is full of bacteria, both bad and good. Probiotics are good, helpful, gut-friendly bacteria. One can find probiotics in supplements and foods like yogurt. Doctors also help individuals with digestive problems using probiotics. Finding out how probiotics work is important. When one loses good bacteria in a human body, after taking antibiotics, probiotics can help in replacing these. One can balance good and bad bacteria to keep the body working well. Among other aspects, probiotics help send food across the gut by impacting nerves that control gut movements. Research is still trying to figure out which is best for specific health problems. Some common conditions to be treated include IBS, IBD, infectious diarrhea, antibiotic-induced diarrhea, and much more. There is a lot of research which shows one is useful for problems in different parts of the body. Some people have been helped with skin diseases like eczema, vaginal and urinary health, preventing colds and allergies and oral health issues. The FDA regulates probiotics like foods. Unlike drug companies, makers of probiotic supplements don’t have to display the safety of their product or not. Check with the doctor if taking probiotics is the right choice. Generally, probiotic food and supplements are safe for most individuals, though people with immune system problems and other serious health conditions should not take them. In certain cases, mild side effects comprise diarrhea, upset stomach, bloating and flatulence for some days after taking them on. This can trigger allergic reactions. You need to stop taking them and talk to the doctor if one has problems. Probiotics were discovered when sour milk was created. We have many other options to get numerous bacteria from foods, so it’s not as simple as adding them to the dishes. In order to gain health benefits, the microorganism has been able to survive the passage through the GI tract, survive the manufacturing process and grow as well as survive at the time of ripening or storage. Bacteria may not negatively impact product quality and be included on the list for Generally Recognized as Safe. Many different types of bacteria are included through the fermentation procedure. Fermentation helps in extending the shelf life of the fragile and perishable foods. It has a slow decomposition process of organic substances induced by microbes or enzymes that convert carbs into organic acids or alcohols. The lactic acid supplies the bacteria and then adds health benefits to food. One can purchase foods fermented or ferment them. This is an ideal probiotic dairy product as it contains bacteria and yeast working to provide numerous health benefits. 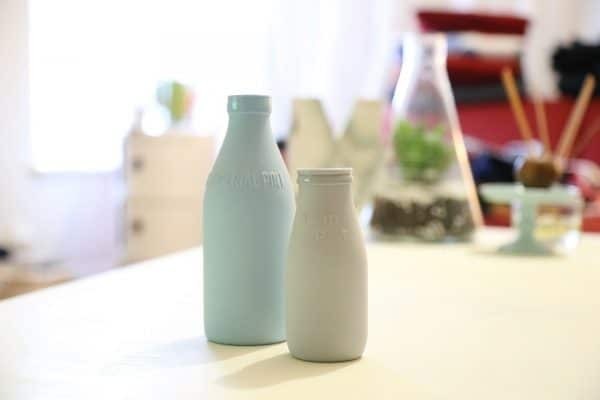 In 8-week research, individuals with diabetes were given kefir milk rich in Lactobacillus casei, bifidobacteria or conventional fermented milk, and Lactobacillus acidophilus. The hemoglobin A1C levels were lower in the group for those consuming kefir. This fermented veggie is made from Chinese cabbage as well as radish, red pepper powder, green onion, garlic, ginger, and fermented seafood. Bacteria have also been found to be present and these include bacteria like Lactobacillus brevis and lactobacillus sake. A recent review found kimchi to be effective for curing cancer, obesity, constipation, colon health promotion, antioxidant and anti-aging properties, cholesterol, brain health promotion, skin health, and immune promotion. It is rich in Streptococcus thermophilus, lactobacillus acidophilus, lactobacillus Bulgarians and bifidobacterium bifidum. 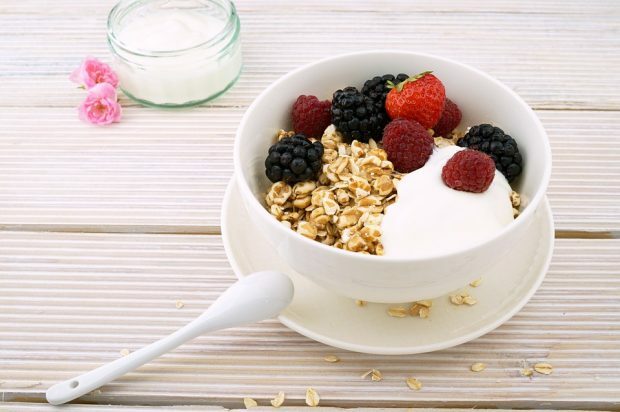 Studies have shown links with yogurt to have a positive effect on gut microbiota and are liked with lower risk for GI disease and improvement of lactose intolerance, especially among kids, and type 2 diabetes, cardiovascular disease, allergies, and respiratory diseases as well as bone and dental health. Other important probiotic-rich foods include lactobacillus acidophilus and bifidobacteria as well as miso, tempeh, sauerkraut, aged soft cheese, sour pickles, gundruk, sourdough bread, fermented and acidic vegetable product, sinki, khalpi, inziangsang, soidonis, and many more traditional preparations. If side effects occur following probiotic use, these tend to be digestive and mild, such as bloating or gas. More serious side effects have been noted in some individuals. Probiotics can cause infections that need to be treated using antibiotics, especially in individuals with underlying health problems. This can lead to unhealthy metabolic activities, excessive stimulation of the immunity system, or gene transfer. Supplements are important especially when the diet is inadequate to meet needs. In the event of probiotics, one’s diet is the perfect source for probiotics. These are live bacteria that need to be monitored carefully, stored and combined for health benefits one would be using them for. At this time, supplements are not monitored in the US, the same way medicines or foods are. This falls under the Dietary Supplement Health and Education Act, 1994. This concerns the dietary supplement or dietary ingredients manufacturer to be essential for ensuring dietary ingredients or supplements are safe prior to it being marketed. This marks the only time the FDA is involved. So, while a lot may be known about probiotics, one cannot be certain of their content or safety. There is also a voluntary certification program for evaluation of supplement manufacturers. Independent test results and information is in place to help health care professionals and consumers identify the top quality products. Products containing probiotics need to pass testing for strength, identity, purity, and disintegration. The CL seal of approval can be typed on the product. This is one crucial step towards being confident that one is getting the type and amount of probiotic promised by manufacturers. As far as the side effects of probiotics go, caution needs to be taken by those choosing to take the supplement. This is especially true for elderly people, pregnant women, children and individuals with poor immune systems. For those with weak immune systems, disease or treatment for the disease, probiotics can actually exacerbate the symptoms. Various types of probiotics for those with compromised immune systems or leaky gut syndrome has led to infections and sepsis. Bacteria in the blood or bacteremia is also a result of wrong ingestion of probiotics in those with IBD and mucosal disruption. While it is held that probiotic supplements and foods are safe for most individuals, there can also be side effects. This is more so in individuals with immune system issues, cardiac valve disease, and severe health problems. Side effects may even be mild such as diarrhea, gas, stomach problems or bloating. However, allergic reactions can also be triggered. Consumption of probiotics can even lead to septicemia, bacteremia, and fungemia. 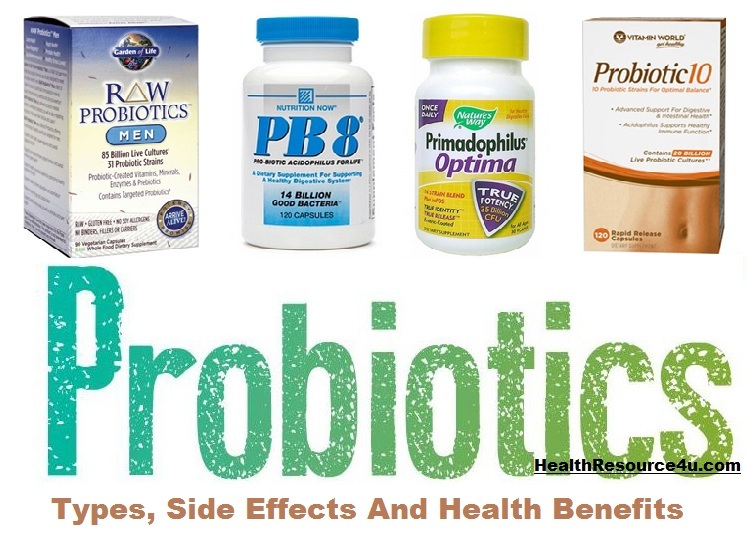 Probiotics are live microbes which can be had through supplements or foods that are supplemented. More studies have shown the bacterial balance or imbalance in the digestion is associated with disease and overall health. 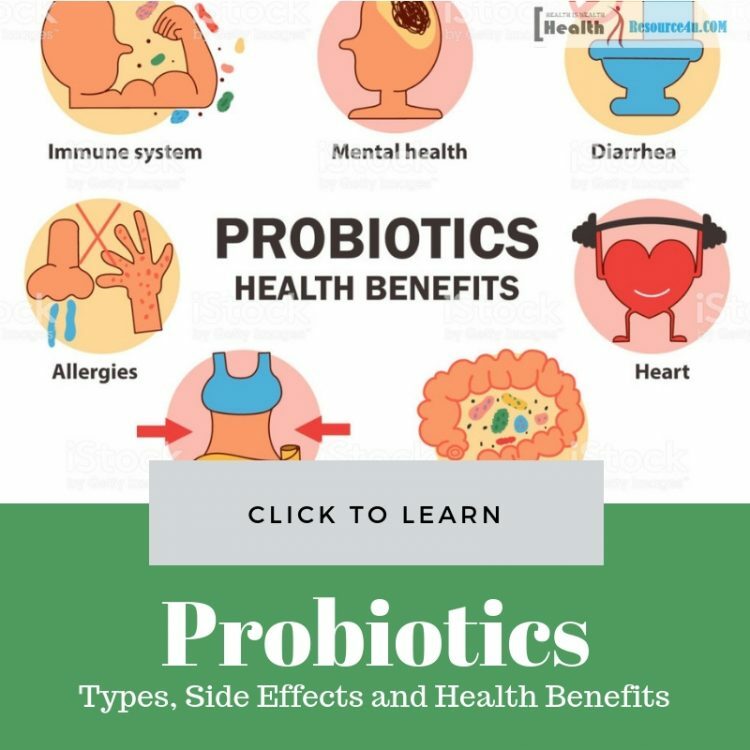 Probiotics promote healthy gut-friendly bacteria and have been found to be related to many health outcomes that are positive, such as benefits for digestive health, weight loss, immune functioning and much more. Probiotics comprise good or gut-friendly bacteria. These live microorganisms can offer health benefits that are enormous for the GI system. The benefits result from the capacity of probiotics for restoring the balance of the gut-friendly bacteria naturally. An imbalance means excessive bad or ineffective bacteria and not adequate probiotics. This can take place on account of illness, antibiotics, bad diet and more. Problems that result include mental health issues, allergies, digestive problems, obesity, etc. Probiotics are found as fermented food or supplements. It appears to offer safety for most individuals. Probiotics are live microorganisms and when taken adequately, restore the natural balance of gut bacteria. Health benefits accrue as a result of this. Probiotics are widely revered for the ability to ward off diarrhea or reduce the severity. Diarrhea is a common contraindication linked to consuming antibiotics. Antibiotic-induced diarrhea impacts the balance of gut bacteria. A lot of research suggests probiotics use is associated with lowered chances of antibiotic linked diarrhea. Studies have revealed that opting for probiotics lowered antibiotics-associated diarrhea by as much as 42 percent. Probiotics can also help with other diarrhea forms caused by infection. A meta-analysis of 35 research studies discovered certain probiotic strains can reduce the time period of the infection by as much as twenty-five hours. Probiotics brought down the risk of traveler’s diarrhea by around 8 percent. This also decreases the risk of diarrhea and other causes in children by 57 percent and in adults by 26%. Efficiencies vary, depending on the dose and type of probiotic absorbed. Strains like L. casei, L. rhamnosus, and Saccharine boulardii are commonly linked to lowered diarrhea risk. Probiotics can reduce diarrhea risk and severity. A lot of studies have linked gut health to emotions, moods and psychological health issues. A wide body of research has found probiotic supplement improves the state of those suffering from mental health problems and conditions. A review of fifteen studies found supplementation with Lactobacillus and Bifidobacterium strains for one to two months improves symptoms in those suffering from memory disorders, OCD, depression, autism, and anxiety. One research study found among workers who took 100 grams of probiotic yogurt in a single day or a daily capsule containing the same amount of probiotic experienced advantages for managing stress, depression, or anxiety, and general health. Benefits were also observed in research covering 40 depressed individuals. Taking probiotic supplements for eight weeks lowered depression levels and reduced C-reactive proteins associated with swelling, besides lowering hormones like insulin as against those who don’t take the probiotic. Research, therefore, shows taking probiotics can boost positive mental health as well. Probiotics can maintain heart health by lowering LDL or bad cholesterol and BP. Certain bacteria which produces lactic acid can lower cholesterol by eliminating gut bile. Bile is rich in cholesterol which helps in digestion. Breaking it down prevents its reabsorption into the gut, where it enters the blood in the form of cholesterol. 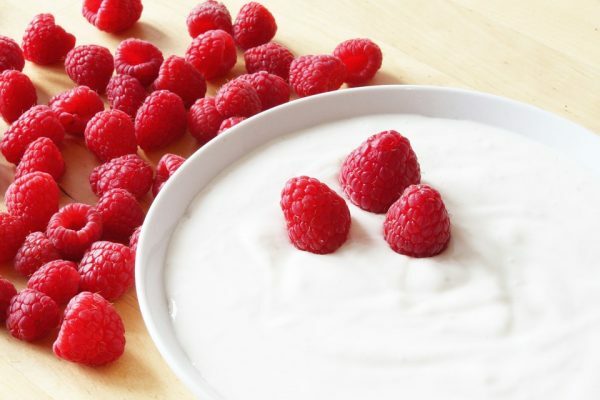 Further reviews of studies found eating probiotic yogurt for two to eight weeks lowered total cholesterol and LDL by 4 and 5 percent respectively. Researchers also found an increase in good cholesterol to a small extent. Consuming probiotics can also lower BP. A meta-analysis of nine studies found probiotic supplement lowered BP to some extent. To experience the benefits related to BP, supplements have to be taken for at least eight weeks and must have ten million CFUs per day. Therefore, probiotics can help the heat and reduce bad cholesterol levels, modestly lowering BP. Specific probiotic strains lower the seriousness of eczema in infants and children. A study found that eczema symptoms enhanced for infants given probiotic-rich milk as against infant given milk sans probiotics. Yet another study following children of women who took probiotics at the time of pregnancy found children had a lower risk of developing eczema in the first 2 years. But more research must be carried out to explore the relationship further. Some probiotics also lower inflammatory or swelling responses in individuals with milk and/or dairy-based allergies. The evidence requires more research. Probiotics can lower the risk and chances of deepening of allergies like infant eczema, therefore. Over 1 million individuals in the United States suffer from IBD, including Crohn’s Disease and ulcerative colitis. Certain probiotics from Bifidobacterium plus Lactobacillus strains have improved symptoms for patients suffering ulcerative colitis in a mild form. One research study even found E.Coli Nissle, a probiotic, was just as effective as medicines in recession maintenance for ulcerative colitis patients. Probiotics have less impact on symptoms of Crohn’s disease. Probiotics also benefit those with specific bowel diseases. The pioneering research found this can even help with symptoms characteristic of IBS. These probiotics also reduce by half, the risk of massive necrotizing enterocolitis. This damaging bowel condition is found in premature-born infants. Probiotics can help in reducing bowel symptoms like ulcerative colitis, necrotizing enterocolitis, and IBS. Probiotics give immunity a boost and inhibit the growth of harmful gut bacteria. Some probiotics promote natural antibody production. They also increase the impact of natural killer cells, T lymphocytes and IgA producing cells. The considerable research found talking probiotics reduced the duration and chances of developing respiratory infections. Research of over 570 kids found lactobacillus GG lowered the severity and frequency of infections by 17 percent. Probiotics like lactobacillus crispatus reduce the risk of UTI in women by half. Probiotics boost immunity and protect against infections. Here’s how probiotics can lower weight through different processes. Some probiotics prevent dietary fat absorption into the intestine. Fat is expelled rather than stored, as a result. Probiotics can also induce a feeling of satiety for longer, store less fat and burn more calories. This is caused by increasing hormones like GLP 1. Probiotics can also lead to direct weight loss. In one study, women who were dieting took L. rhamnosus for three months and lost 50 percent more weight than women without probiotics. Yet another study of 210 individuals found low doses of L. gasseri for 12 weeks resulting in 8.5 percent reduction of belly fat. It is vital to note not all probiotics lead to weight loss. Probiotics are available in fermented dairy products and foods. Probiotics also can be taken in capsule, powder or tablet form. Some probiotics can impact in so many ways. While a lot of research has been carried out on probiotics, much is still being discovered. Research has found probiotics can treat diarrhea and digestive disorders, atopic dermatitis and other allergic disorders like allergic rhinitis. 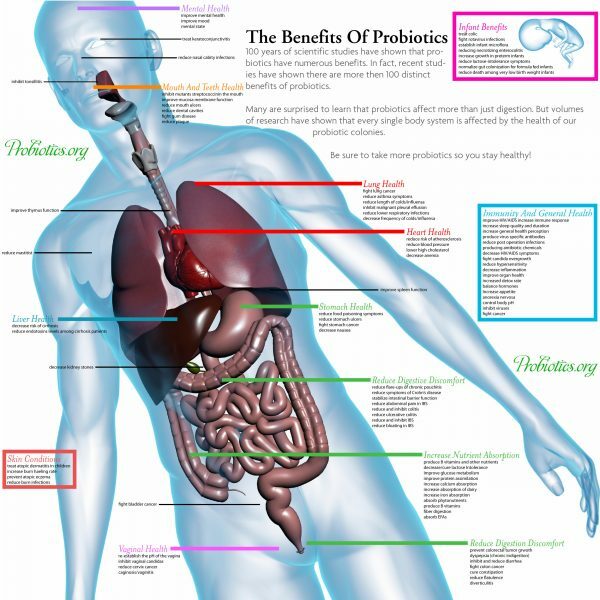 Tooth decay, periodontal disease, and oral health issues can also be dealt with using probiotics. It cures everything from liver disease to common cold and colic in infants. The best research support comes from the Cochrane Collaborative study that found acute diarrhea induced by infection can be shortened in duration through probiotics. Certain probiotics according to a Health Canada study, found acute infectious diarrhea and antibiotic linked diarrhea can be cured. Yet another JAMA study found probiotics reduced antibiotic-associated diarrhea by 42%. Some studies also suggest probiotic strains can impact IBDs like ulcerative colitis. 8 different strains of probiotics in VSL No.3 can be used for combating irritable bowel conditions. A World’s Journal of Gastroenterology found certain probiotic strains improved bowel movements in constipated patients. Studies in Britain’s Journal of Nutrition has found probiotic strains boost immune system response. A 2011 Cochrane study even found probiotics can ward off infections. The EU Journal of Clinical Nutrition in a 2011 study found those who drank fermented milk rich in probiotics had lower body weight and abdominal fat. Tests on nursing mothers found that the more the pregnant mother had probiotics, the lower was the risk of the child developing eczema. Studies have even shown combining antibiotics and probiotics reduces chances of developing diarrhea. Just like any other medications, the doctors strictly advise the patients to not self medicate when it comes to introducing Probiotics externally into the body. There’s a proper dosage that you need to remember before using. This is why is very important for you to let your Dr. Know right away if you ever you would need to have Probiotic injections. Keeping in contact with your doctor will also help you understand more about the condition and how you can get more Probiotics for your system. This way, you will be able to keep yourself safe from any complications that may arise in the future. Always remember that your doctor will never leave you to fend for your own. Do not hesitate to ask questions and learn more about certain things that you would want to know about your physical as well as your mental health. In addition to this, if you have symptoms of diarrhea you should also not hesitate to go to your Physician right away. By doing this, you will have prevented yourself from incurring any more complications that your condition may inflict upon you. Remember that an ounce of prevention is always better than a pound of cure. If you’re able to prevent yourself from incurring any infections, then you would also be able to live a normal life without additional fear or worry that you might get sick someday because of not having Probiotics in your system. So, whether you’re looking to reduce lactose intolerance or boost immune system functioning or even ward off halitosis, probiotics can help. Probiotics also enhance calcium absorption, make antibiotic administration easier and boost the ability to digest food. After surgery, it can sooth colon irritation and even reduce the risk of vaginal yeast infection. It also increases the absorption of nutrients from food. All in all, probiotics are truly wondrous when it comes to preserving health.